Greetings from Urban Scrapbooker, Where Crafting is Cool! We are passionate about all things paper crafting, and Mixed Mediais definitely one of our favorite things. 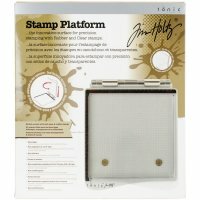 An innovative surface for precision stamping with rubber and clear stamps. Engineered to ensure an accurate even contact every time. Marked in both imperial and metric measurements accurately placing stamps at specific intervals could not be easier. 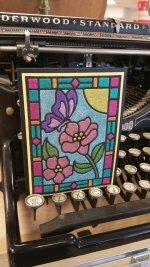 New Stained Glass Dies from England. So many great options to get creative with these dies. I just love the inlaid glitter techniqe. Gorgeous!